Possible Pyramids Discovered From Space When you think archeology, you think shovels, brushes, brooms and other time-honored tools used to uncover archeological treasures. Now a new way to peer beneath the Earth's surface may have made an exciting find: more pyramids, buried deep under an ancient Egyptian city. 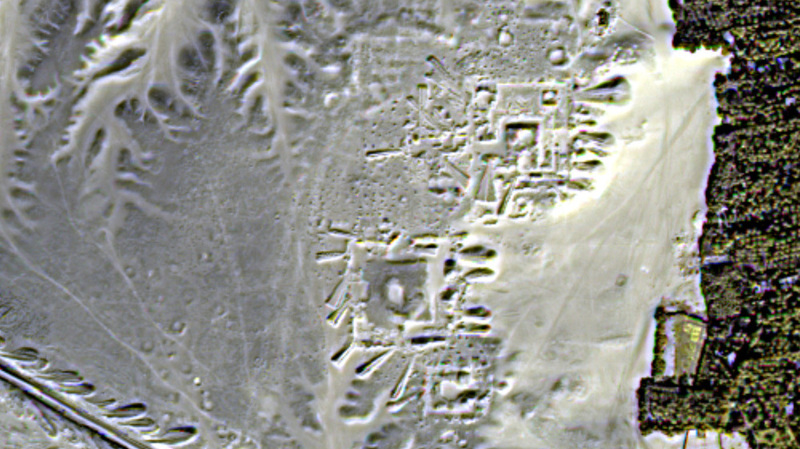 A satellite image shows a field of what may be buried pyramid sites in Egypt. Sarah Parcak examines satellite imagery of an Egyptian landscape. When you think archeology, you think shovels, brushes, brooms and other time-honored tools used to uncover archeological treasures. Now a new way to peer beneath the Earth's surface may have made an exciting find: more pyramids, buried deep under an ancient Egyptian city. 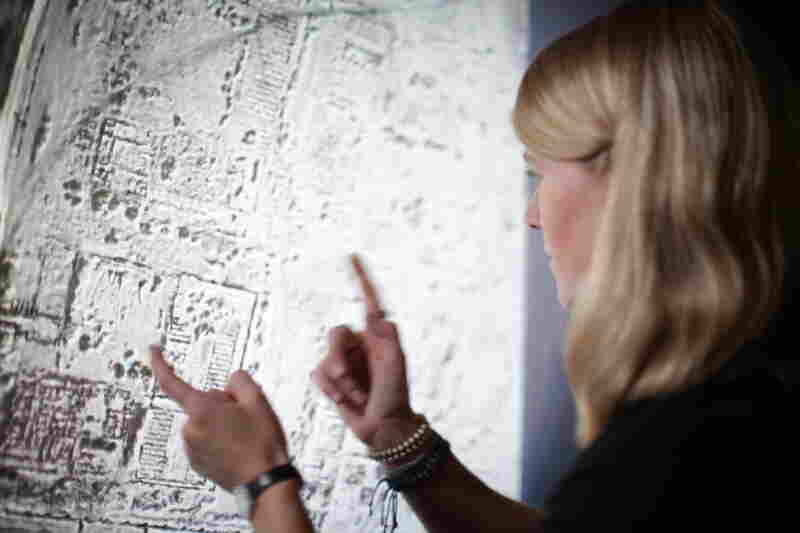 By studying infrared images taken by NASA satellites, Sarah Parcak and her team from the University of Alabama at Birmingham identified the suspected pyramids in Tanis, Egypt. The ancient city, abandoned centuries ago, is famous as the fictional home of the Lost Ark from the Indiana Jones movies. Satellite images also showed other lost structures, like tombstones and houses, buried for thousands of years. "What these satellites do is they record light radiation that's reflected off the surface of the Earth in different parts of the light spectrum," Parcak explains to NPR's Rachel Martin. "We use false color imaging to try to tease out these very subtle differences on the ground." Those subtle differences are an archaeologist's clues to what might lie under a rice paddy or a city street. "You just pull back for hundreds of miles using the satellite imagery, and all of a sudden this invisible world become visible," Parcak says. "You're actually able to see settlements and tombs — and even things like buried pyramids — that you might not otherwise be able to see." What Parcak's team actually found was 17 structures that had a similar size, shape and orientation to other pyramids in the area. Initial excavations indicate that at least two of the structures are most likely pyramids, but Parcak warns, "we're not going to be able to say with a 100-percent certainty that they are pyramids until they're excavated." That would be the fun part for most archaeologists — getting dirty. "You can theorize as much as you want about what you think you're seeing, but until you get out there and dig," Parcak says, "you can't tell exactly what it is." Her team left their computer screens in Birmingham to meet up with an excavation team onsite in Egypt. They found the excavated structure matched the satellite images almost perfectly — a big win for a new technology that could rescue ancient treasures before the human population spread buries them forever. "We only have a limited amount of time left before many archaeological sites all over the world are destroyed," Parcak says. "So we have to be really selective about where we dig." The new tools might just buy archaeologists a little more time. "We've got to map all of our ancient history before it's gone."